The Abortion Rights Campaign has been calling for a referendum to repeal the 8th Amendment since its foundation. The Government has finally called a referendum, but the proposal is a little different to the straight repeal proposed by the Joint Oireachtas Committee. Here, we explain what the government has proposed, the rationale behind this proposal and what will happen next. After a lengthy meeting on Monday, the Cabinet agreed to hold a referendum on repealing the 8th Amendment to the Constitution and adding a new provision explicitly enabling the Oireachtas to legislate for abortion. If passed, the referendum would delete article 40.3.3 in its entirety and insert a new clause into the Constitution that states, “Provision may be made by law for the regulation of the termination of pregnancies” (It is important to note that this wording is not finalised). This would be the 36th amendment to our Constitution. The Cabinet also gave formal permission to the Minister for Health, Simon Harris, to draft a Referendum Bill to amend the Constitution. This Bill must be passed by both the Dáil and the Seanad before a referendum is held. Ministers also committed to holding a referendum in late May but cautioned that the exact date will not be known until the Referendum Bill has passed through the Oireachtas. In addition to a Referendum Bill, Minister Harris will also now prepare a General Scheme of a Bill (what’s being referred to the in media as ‘the draft legislation’) to regulate abortion. This General Scheme will outline how abortion care will be provided after the 8th amendment is repealed and will be in line with the recommendations of the Joint Oireachtas Committee. The General Scheme will be published prior to the Referendum but will not be debated by the Oireachtas until the Referendum has passed. In other words, whatever legislation the Oireachtas ultimately adopts could differ from the General Scheme (as is the case with any draft legislation). The Cabinet’s decision to hold a referendum to repeal the 8th Amendment and add a new provision to the Constitution, as opposed to straightforward repeal (a.k.a. repeal simpliciter), was taken on the basis of advice by the Attorney General, Seamus Woulfe. Attorney General Woulfe had advised Cabinet against repeal simpliciter on the basis that it might be argued before the Courts in the future that ‘the unborn’ have residual rights under other articles of the Constitution, and that these possible rights could restrict the power of the Oireachtas to legislate for abortion. He advised, therefore, that a replacement provision which specifically empowers the Oireachtas to legislate for abortion would provide a higher degree of legal certainty on the Oireachtas’ power to create legislation. Similar advice was given to the Citizens’ Assembly, who gave a comparable recommendation. The removal of the constitutional barrier to abortion care should allow for more progressive and compassionate healthcare for all pregnant people. However, this is very much dependant on the wording of the Referendum Bill and subsequent General Scheme of a Bill. We will therefore be watching the Government very closely in the coming weeks and months and we encourage our members and supporters to do the same. 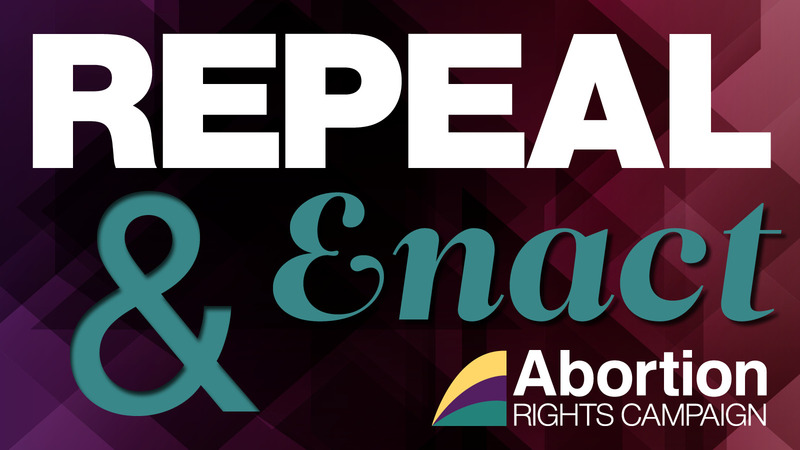 ARC will continue to campaign for free safe legal abortion for all who need it in Ireland. We encourage everyone to talk to your friends and family, and let your TDs know that you support repeal and meaningful abortion access. For more background and a reasoned legal analysis of the Government’s referendum proposal, see this blogpost by legal academic, Fiona de Londras. Abortion should be easy to get. The more it is cloaked in laws the more women suffer and endanger themselves. No law can stop a woman determined to end a pregnancy. Laws do not even reduce abortion. Laws just drive abortion underground making it extremely dangerous. It is critical to create progressive laws that looks at facts and not based on our personal feelings.